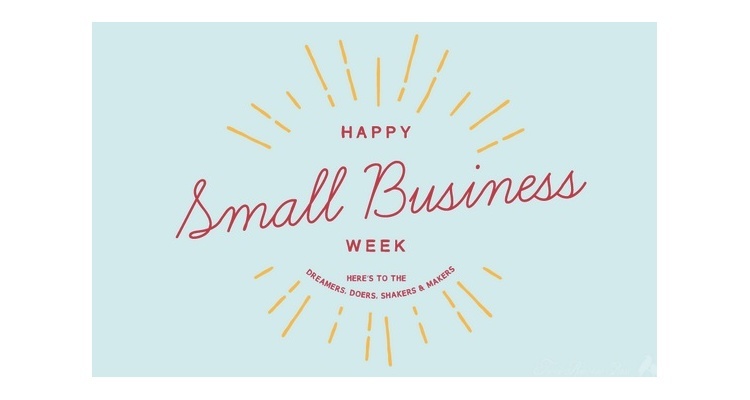 Why Bother with National Small Business Week? So, it's National Small Business Week. If you're thinking "so what?" you may not be alone. The answer may be found in a list of suggestions on how to make this annual "nod to small business" more impactful. But before we get to that list, may we suggest making it personal? A gift card from National Gift Card and Atom Tickets is a great way to say "thanks" to the people who have put their hearts and souls into creating and sustaining the enterprise. Given that it's the small business ecosystem that's responsible for about half of the wealth generation in the economy, that's a pretty good way to get on board with the observance. Share your story: Don't keep things a secret. You have a unique point of view that could be the starting point in reminding customers and supporters what you do and how it makes a difference. Say "thank you" to the people who keep your business going. We suggest that egift card we started with, Atom Tickets, as an increasingly popular option and National Gift Card being the place to start. Consider making this week your "starting point" for a learning experience. Consider sites like Udemy and the nearly unlimited number of YouTube episodes geared toward helping you learn new skills (not to mention your local community college or other higher education institution). Celebrating National Small Business Week can be a real adventure - one that pays dividends. And, by adding in an egift card from NGC and Atom Tickets, the experience can be an extra special opportunity for others.